Your application is assessed in two ways: academic ability and handicap. Currently the handicap limit is 5 or less for men and 8 or less for women. 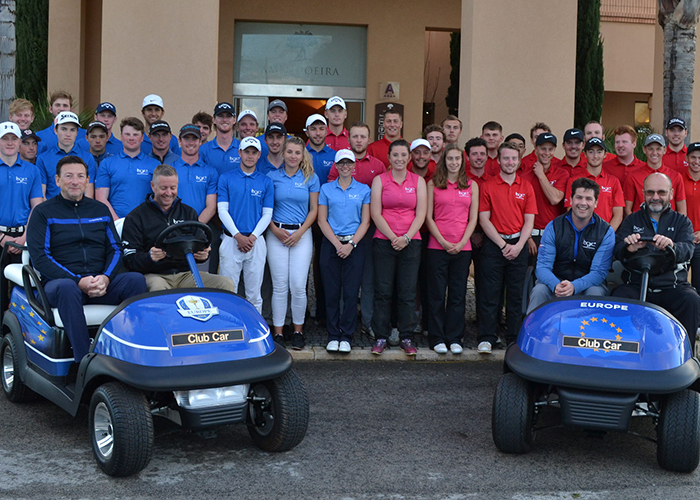 For general questions and assistance please contact recruit@tournamentgolfcollege.com. Before you apply please read all provided information about your chosen programme on this website. Applications should be made through UCAS - full details on applying for UK Higher Education can be found at www.ucas.com. Please contact us to let us know that you are making an application; we can then offer you an Open Day visit should you so wish. Application forms once completed will be forwarded by UCAS to TGC, where your application will be assessed. Our recruitment team will then contact you to discuss your golfing ability and ambitions. We want to be totally clear that you understand the scope and requirements of the programme and that you are fully committed to the task ahead. Once you are satisfied that we have something you need and we are happy that you have the ability, you will be asked for a deposit to secure your place. For more information about the process, please email recruit@tournamentgolfcollege.com.